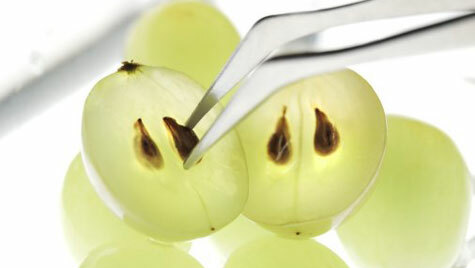 You have probably heard of grape seed oil (GSO) which comes from pressed grape seeds. You already know that it is odorless, colorless, has a non-greasy texture, relatively cheap and can be found in supermarkets and health stores wherever you go, well, today I want to share with you the wonderful benefits this light weight oil has to our hair. GSO is particularly beneficial for our thirsty, dry coily hair because it has proven to smooth out hair cuticles while sealing in moisture leaving you with less frizzy hair on your head. combats dryness as it contains Vitamin E and a high amounts of linoleic acid, a type of unsaturated omega-6 fatty acid. works well with butters and other oils, increasing the moisturising and sealant properties of your mixture. It does not weigh down your hair because of its lightweight nature. Gets absorbed easily and fast into skin and hair so it’s very good for dry scalp as well. Protects against UV radiation and against heat damage when using blowers, flat irons hair dryers to style hair. Strengthens hair resulting in less breakage. leaves your hair looking shiny and healthy and reduces brittleness. Because it does not smell bad (odourless) there is no need to add fragrances. This amazing oil is also beneficial in treating arthritis, dermatitis ,acne, wrinkles, dry itching skin, age spots, sun burns, chapped lips, wound bruises, hypertension and premenstrual syndrome to mention but a few. What does Natural Sisters say about Grapeseed Oil? I think it is a good oil and very good for our kinks too. I tried GSO for the first time last week and I was quite alarmed by how lightweight it is. I added a teaspoon to my tea rinse and I also added another teaspoon to two tablespoons of Tresemme Naturals Conditioner and used it as a leave-in conditioner. I think I like GSO although I am used to Extra Virgin Olive Oil which is much heavier and adds a lot of sheen to my hair. I enjoyed using GSO because it made my hair super soft and smooth after air-drying it. I will definitely use it again. So that’s a thumbs up from me. Thanks Fatsani Banda for inspiring me to try Grapeseed Oil. Have you tried GSO? How do you use it and what does it do for your hair? Please comment and share your experience. And whatever you do this spring, remember, all hair is good hair. Coconut Milk Rinse for Natural Hair. Mamoa Skin Care Review and Giveaway! I saw you mentioned tea rinse ,what is it and its benefits to hair. liked your informative article ,will sure try GSO. Thanks for coming Lee. Tea rinse is when you use black tea to rinse hair, usually done before washing hair to reduce shedding. Will do a full post on it soon. This is not a bad idea, I think grape seed is used in shampoo now, correct me if I’m mistaken.